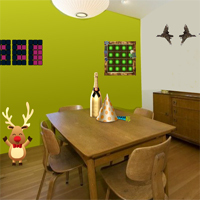 8BGames New Year Shopping Escape info about the game-Games2Rule. Imagine that you are about go out for New Year shopping with your friends. When you went to exit door; you got shocked that your parents accidentally locked the door. Find some hidden object to solve some interesting clues to escape from the house. Good luck…Have fun!